Unique, multi-fun inflatable with a large jumping area and more. 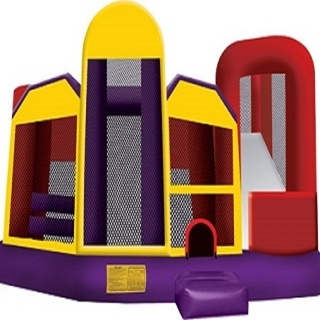 This multi-fun bounce features a large jumping area, along with a basketball hoop, obstacles, climbing challenge and a slide. Spectators have a clear view of all the active fun in this unique inflatable.